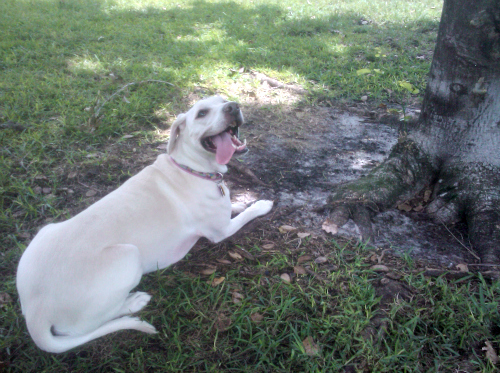 Best of 2012: Top Recipes, Photos, DIY, Coupons, Reviews, Causes and More for Pets! Daisy in Her Michigan Football Jersey – Go Blue! Meet Brandeis: Sesame Street’s New Service Dog Character! Quiz: What Kind of Pet Parent Are You? What was YOUR favorite post, photo or pet topic featured on our blog this year? Leave a comment and let us know…or suggest one for next year! 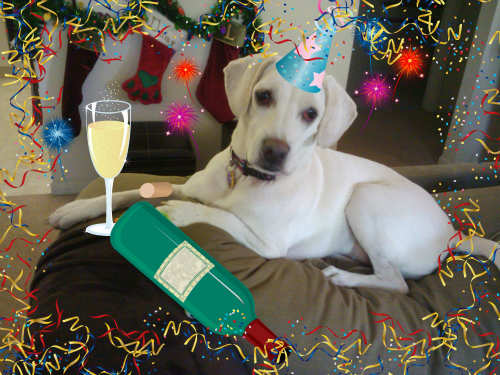 Daisy and I are looking forward to bringing you LOTS more fun stuff in 2013!!! Happy New Year everyone! 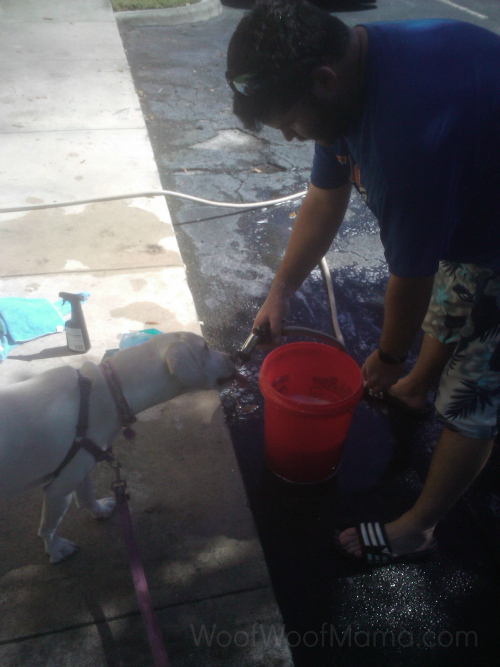 Wordless Wednesday: Daisy Loves Working at the Car Wash! 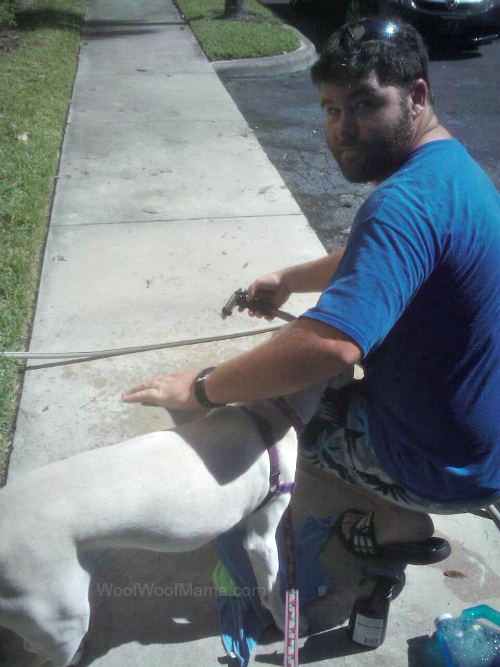 Gotta get in there and really inspect the work…you missed a spot. Being the boss is hard work…time for a water break! Giveaway: Win $200 PayPal Cash, Blog Design Package + Free Books! 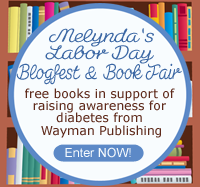 Welcome to the Labor Day Blogfest and Book Fair Sponsored by Wayman Publishing and hosted by voiceBoks, Linkie’s Contest Linkies, Mommy Blog Designs, and Terri’s Little Haven! This giveaway event runs from August 28 – September 5, 2012 and is open for World Wide entry! Good Luck Everyone!!! Blog Design Package from Mommy Blog Designs valued at $295! Daisy prefers Squirrel Watching to Squirrel Chasing! Is YOUR dog a watcher or a chaser? Leave us a comment and let us know…Then visit the other links below for more pet photos, plus link up and add your own to the blog hop! 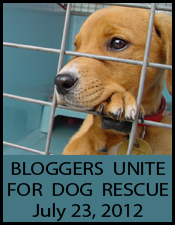 Save The Date: Bloggers Unite for Dog Rescue July 23rd! As regular readers already know, Daisy is a rescue pup and causes that support animal rescue and adoption are near and dear to my heart! 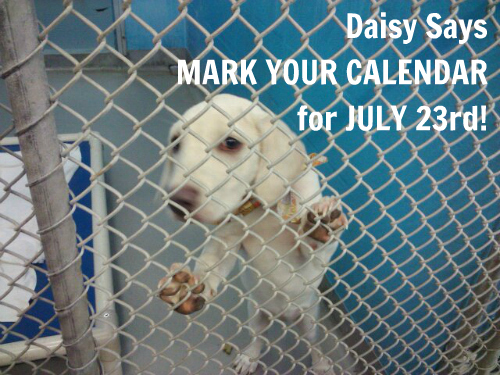 There is a special online global event being held on July 23, 2012 called Bloggers Unite for Dog Rescue. 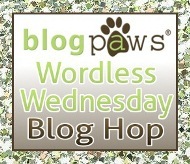 On that day, bloggers are uniting to blog about pet adoption. Millions of homeless dogs are euthanized each year while waiting for their ”forever home” but YOU can help spread the word AND make a difference in the lives of dogs in need!